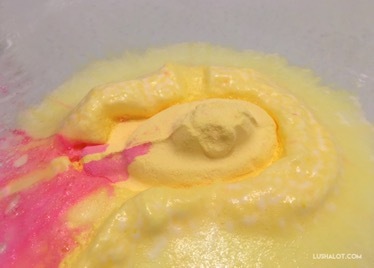 5 out of 5 rating – See my tub demo / review video of it below. Gorgeous sparkle! Not only am I a Beatles freak, but I like Coconut. That smell is SO yummy. Like a coconut cream pie or pink colada. This makes sense Such a gorgeous show in the tub! I wish I had ten of these. 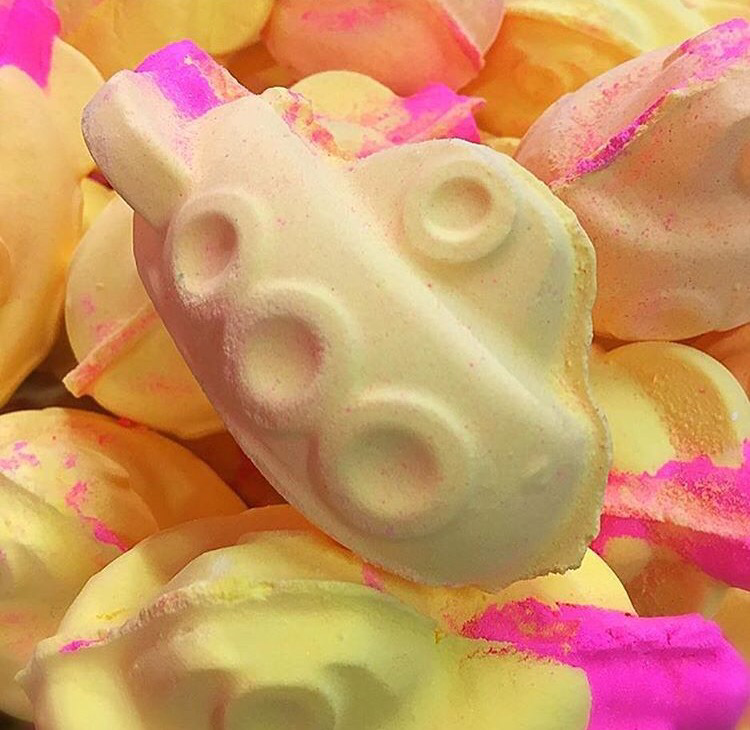 Posted on February 26, 2017 by Lushalot	• This entry was posted in Bath Bombs and tagged big calm scent family, coconut, pineapple, yellow submarine. Bookmark the permalink.